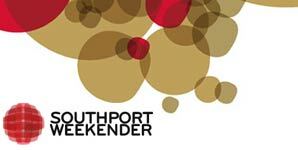 Southport Weekender festivals have without a doubt been indispensable to the soulful music scene over the past decades. With a decision to take the twice yearly event to once a year, as they embark on additional exciting overseas adventures, Southport Weekender's 2010 festival sold out in just 2 weeks of going on general sale! With less than 8 weeks to go til May's event, the Southport team get ready to lay on a World-class line-up to a devoted crowd of 5000+ party goers from all over the globe. Attracting 5000 + happy party folk to the indoor Pontins holiday complex in Southport, its dubbed as Europe's friendliest party. Founded by hedonist, Alex Lowes along side cohort Dave Gardner, since it's beginnings in 1987 at a caravan park in Berwick-Upon-Tweed as a Soul Music Weekender, Southport, now 23 years old, stands as the most musically diverse music Weekender in the UK party calendar. Regularly attracting an intimate friendly crowd of dedicated dancers and discerning music lovers, Southport features 4 purpose built arenas featuring state of the art lavish production and quality sound. The 4 Arena's boast a heavyweight selection of cutting edge and classic soulful music right across the board from House, Jazz, Broken Beats, Drum n Bass, Hip Hop, Deep House, RnB, Soul, Jazz Funk, Rare Groove, Nu Soul and a hefty portion of classics with amazing performances from the world's DJ Elite, Live acts and PA's, spliced with up and coming new talent too.